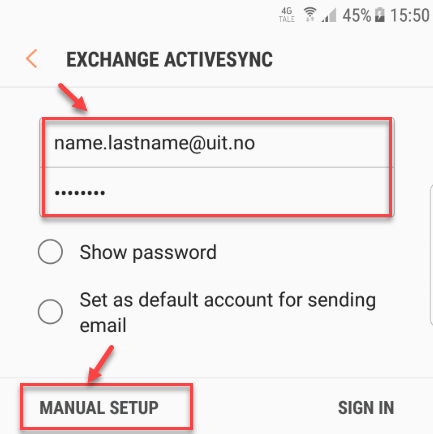 This tutorial will show you how to set up your UiT email account in the Email app on an Android device. 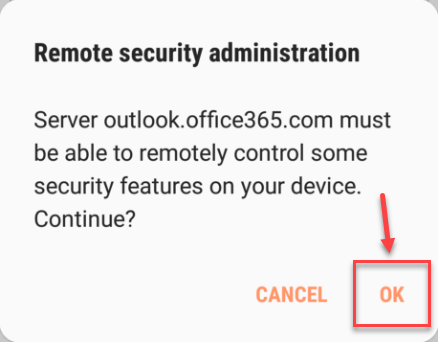 If you are unsure that your device uses Andriod, you can check it on this link this list. The look of your device might vary from the pictures. 1. Press the button for "Settings". 2. 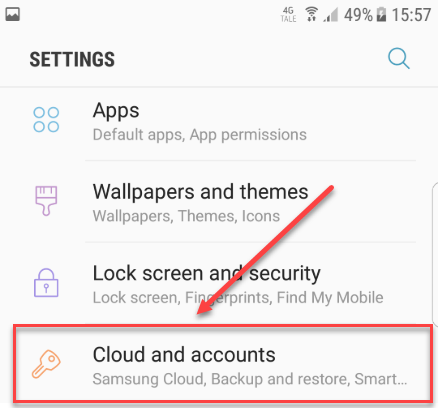 Scroll down and press "Cloud and accounts". 3. 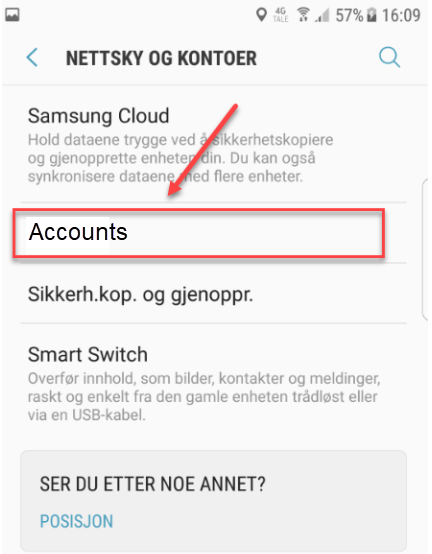 Click "Accounts". 4. 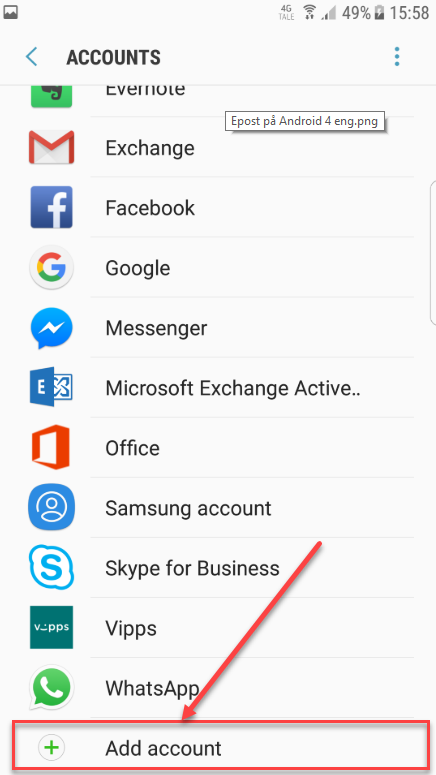 Scroll down and press "Add account". 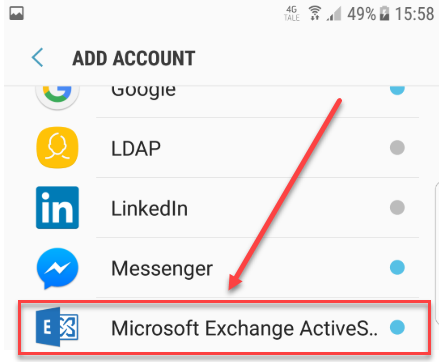 5.Scroll down and press "Microsoft Exchange ActiveSync". 6. 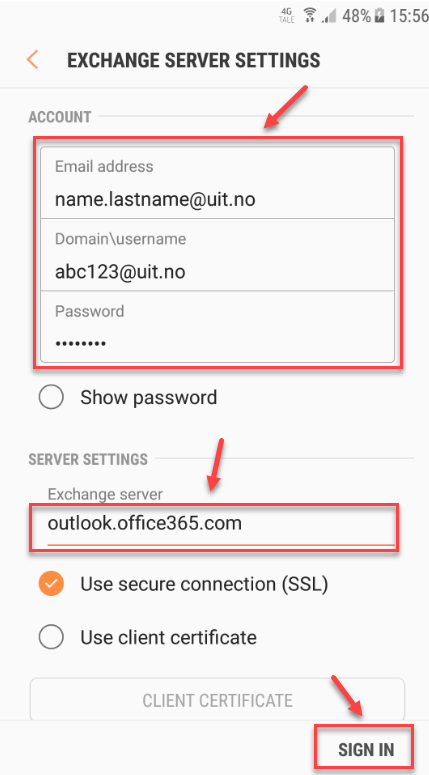 Write in your full email address and password, then choose "Manual setup". 9. 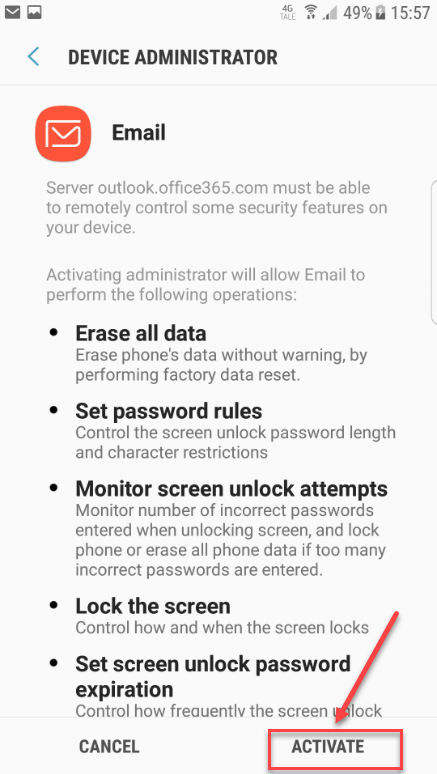 Under "Device administrator" press "Activate"